Commercial Lease negotiation can be tricky for small-time entrepreneurs because they usually don’t have a lot of experience in how commercial real estate works. But if you find yourself outgrowing your home office and facing the need to rent a commercial space, it will be to your benefit to learn more about leasing from both the tenant and landlord perspectives. The money you save will far outweigh the time and effort spent in the learning curve. The most important things to remember for a Commercial Lease are, 1) A Commercial Lease have lots of negotiating points that you can work with, and 2) this means there are multiple ways to save money over the term of the lease, so even if the owners won’t budge on one item, they might be flexible on something else. If possible, you should create a leasing comparison worksheet in your favorite spreadsheet program. If you doubt your skills in this area, you can download one or ask someone with decent skills to help you. It is not as difficult as it sounds. You simply add, subtract, multiply and divide various inputs to get total potential costs monthly, annually, and for the entire lease term. Some spreadsheets include the “time value of money” and “NPV cash flows” and other such items. These inputs are not necessary, but if you understand the concepts, they may add some interesting angles to consider. 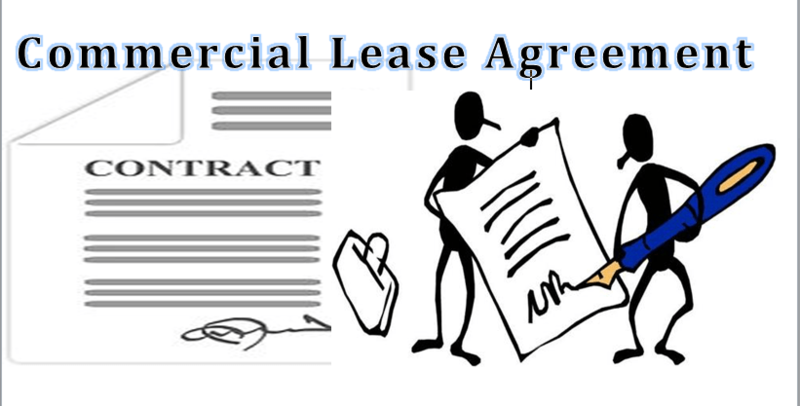 The following are the negotiating points of a typical commercial lease. The rental rate on a Commercial Lease is the price of the space you are considering, usually expressed as a figure per square foot, or PSF. Sometimes it will be given as a monthly rate, other times as an annual rate. For example, a monthly rental rate of $2.50 PSF would equal $30 annually. Your “base rent” is the rental rate multiplied by total square footage of the space. So at $2.50, your total monthly base rent on a 1500 square-foot space would be $3750. If you were to multiply that by 12, your total annual rent for one year would be $45,000. Can you negotiate on your rental rate? Absolutely. Is it always a good idea to begin your negotiations by asking for a better rate? Not necessarily. For one thing, you need to go into negotiations well-informed about all your possible options and all potential points of flexibility. Before you focus on any one of the points, you need to do your homework. While many landlords will lower the rate, often they will want a concession elsewhere. It is important that you understand whether conceding in one area will negate the advantage of getting your way on a different point. Don’t rush into negotiating on price until you know all your options. The lease term is the number of years you will have possession of the space as a tenant. It also represents another negotiating area. Before you make any decisions, you need to play with a variety of scenarios to understand how term length might affect you. It may be advantageous to have a shorter or longer term depending on the plans you have for your business. How does longer or shorter terms on a lease affect your bottom line? If you come upon an extraordinary good deal on rental rate, you might want to lock in a long-term lease. In general, longer leases make better economic sense when you are certain you want to stay in a location. Many businesses, especially retail and restaurant, are highly dependent on place, and if you think you have a found a winner on location, you may want a longer lease. It also makes sense if your business is difficult, expensive and inconvenient to move. On the other hand, a shorter term might be better for you if you do not expect to stay in place for that long. This could be because you have your eye on another part of town that is now being developed, or you expect to grow so rapidly that you will need to look for a much larger space within a short time frame. Or, perhaps you are not certain how the coming years will affect your business and you think you might want to downsize to a smaller space sooner rather than later. No tenant should ever overlook the importance of having enough designated parking spaces. While this might not be a point on which you can save much money, depending on how scarce parking is in your location, it is essential to include both the number of spaces and the monthly rent-per-space in your negotiations and in your cost spreadsheets. You may be able to get more parking, or even free parking, if you make concessions in another area. If you expect to sign a net lease, which is common for smaller office and retail spaces, you will be charged an additional amount every month on top of your base rent to pay for your pro rata share of the property tax, maintenance and upkeep of the building, or what is usually referred to as common area operating expenses. Your lease should detail which expenses will or won’t be charged to the tenant. Sometimes this will be expressed as a set amount, such as $.35 PSF, or a percentage, such as 15 percent of your monthly base rent. You will pay this amount in addition to your rent each month. While you might not be able to avoid common area expenses entirely, you could get some concessions during negotiations. It is not unheard of for some tenants to negotiate better terms, which might, in rare cases, mean not having to pay at all. It might also mean extending your “base year” (the year that you will not have to pay these expenses) to a period that is longer than 12 months; getting overpayments refunded to you based on the actual amounts of expenses; and getting out of paying for certain expenses. You will not know what you can get unless you ask. A Commercial Lease will give the landlord the right to raise your rent on a regular basis, usually annually, by a certain percentage or amount. Sometimes this is a set figure, such as 3 percent or a $0.25 PSF monthly increase; other times the increase might be tied to an index, such as the CPI (consumer price index) and will not be known in advance. In these cases, look for a maximum figure in the lease, such as “not more than 3 percent” so you’ll know that at least it won’t be over that percentage. Rental increases may often be negotiated in a variety of ways. But as with any other point, a gain in this area may or may not mean a concession somewhere else. It is still important to figure out how you will get the best overall deal. This is what your handy spreadsheet will tell you. Tenant improvements may not be available if you want to shorten your lease term. A landlord will be less likely to invest their own money into your space if you aren’t planning on staying there for long. However, if a shorter term is what you want, this will be OK with you. Some landlords are willing to give their new tenants free rent. This may be in exchange for not having to pay for remodeling–in other words, for not granting tenant improvements–or it might actually be an additional incentive to rent the space. Perhaps you are a very desirable prospect and the landlord believes your presence will improve the value of their property. Or it may also be a consolation prize of sorts, a way to get you to rent in a less-than-desirable location. Whatever the reason, free rent, when offered, is a great thing to accept and an acceptable thing to ask for, especially if you are willing to concede in another area that is not as important to you–such as tenant improvements. Many leases will give you an option to renew or extend your lease when it expires. You do not have to exercise the option, but having it there gives you security. Otherwise, a landlord could simply tell you to leave, with little advance notice, when your lease expires. Even if you don’t plan on renewing your option, it is always a good thing to have because it gives you more control. A landlord will usually allow you to stay month-to-month for a while, as long as you are deciding whether or not to extend your lease. It will give you time to consider whether you want to put in another three or five or seven years in that location. And it will allow you to make other plans on your own timetable. For that reason, it is not advisable to give up an option to renew. You should ask for one when none is offered. It will not tie you down but will put you in more control over your own destiny. The right of first refusal means that if another space comes up where you have your tenancy, you will be notified and will have the right to decide if you want to move into it. If this is important to you, then you must ask for it. This is essential if you have your heart set on moving to a better space in the same building or center. Some leases will not allow a landlord to rent a space in their property to a new tenant if the business bears a close resemblance to that of an existing tenant. For example, if you operate a hair salon and your lease has a non-compete clause, you can stop the landlord from renting to another hair salon in the same building. This is an important area to consider if you are a specialty retail or food service outlet and don’t want competitors moving in a few doors down. You might only have this ability in a smallish property, as owners of large shopping centers would likely only grant such rights to their biggest tenants. But it still never hurts to ask. To know how to negotiate on a Commercial Lease, you must do your homework to find out how each point of interest will affect your company’s unique situation. You must also have a clear idea of how much money would be saved or spent for each option. Your spreadsheet needs to include all possible expenses for a lease and contain formulas that show how incremental costs in each area would affect your monthly and annual rent expenses and total occupancy costs over the entire term of the lease. If you don’t have the knowledge or experience to negotiate a Commercial Lease on your own, it makes sense to work with a leasing agent who can guide you and represent your interests to the landlord. Of course, the landlord must be open to working with an agent, as the leasing commission will come out of the owner’s pocket. But even if you do hire a professional, it is always a good idea to learn how to save money, both long term and short term, by using all possible negotiating points of a Commercial Lease to your advantage. Rent is a big expense for any small business, and it’s in your face each and every month. Knowing you used your best planning and negotiating techniques before signing that lease can make paying it just a little less painful!